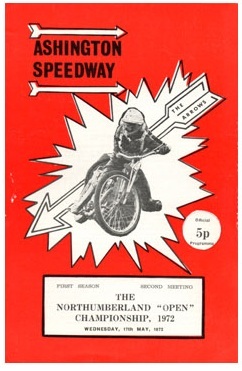 The Arrows speedway team were based at Portland Park Stadium in Ashington, Northumberland. The opening meeting was held on 5th April 1972 when the home team were defeated 45-33 by Birmingham Bullets. The Arrows operated as an Open team throughout 1972 but only held one more meeting after their April meeting, closing on 17th May 1972. Fortunately both of their rare programmes are shown below. The track length was 400 yards.